Cyndi Cyreigna Elliott has been dancing as long as she can remember! Ballet, Tap, Jazz, Flamenco, Salsa, and with all honesty, cannot remember a time when there was not Music and Dance in the home! 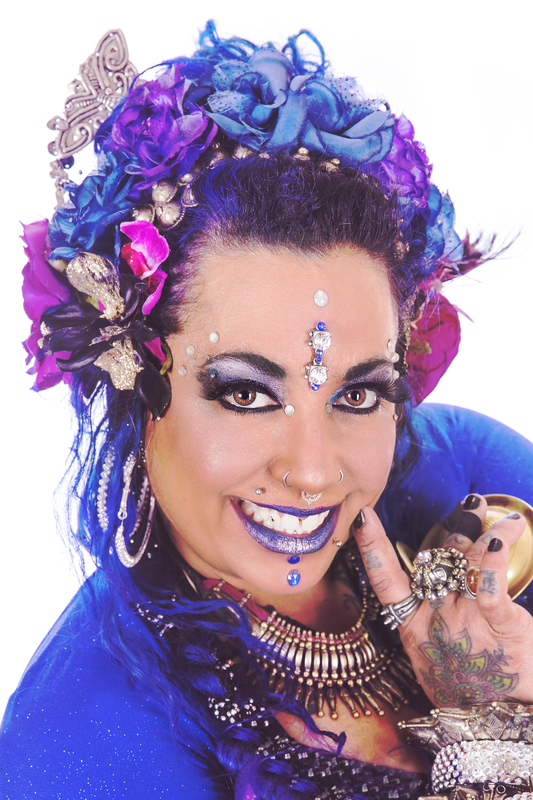 After discovering American Tribal Style® Bellydance in 1995, she was hooked and never looked back. Cyndi received her General Skills in 2008 in Bloomington, Indiana and her Teacher Training 1&2 in in Birmingham, Alabama in 2010 becoming Kansas’s premier Fatchance Bellydance® Sister Studio. She is very proud to have completed the Advanced ATS® Teacher Training in San Francisco, CA in 2016. Cyndi Teaches and Performs nationally and is happiest when she is sharing her passion for American Tribal Style® Bellydance. Cyndi is the Director/Instructor/Designer at Irie Tribal Dance Company and strives to portray ATS® and her dance company in a positive and confident light. With each performance she brings joy and happiness as her gift to you! Her goal is to dance with everyone!